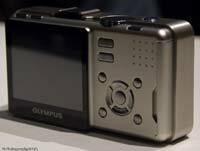 Olympus has announced that it has begun development of a Micro Four Thirds System camera. Olympus are giving away few details about their new camera, other than the dimensions, which at 4.7 x 2.5 x 1.2” (119 x 64 x 31mm) makes it much smaller than the Panasonic G1. 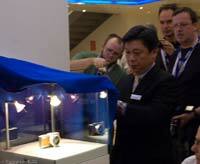 It will also use the same Four Thirds sensor as their E-System models. Product name, launch date and retail price are to be confirmed. Today at Photokina Olympus showed us a completely new type of camera built around the recently announced Micro FourThirds standard. 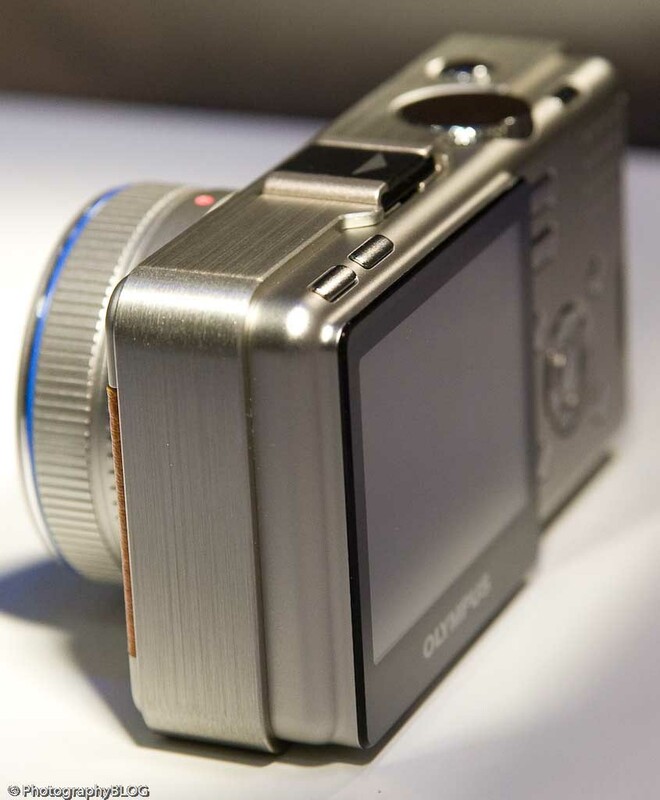 The concept is that of a compact camera with electronic viewfinder and small interchangeable lenses (the Micro FourThirds mount is some 6mm smaller in diameter than the ‘regular’ FourThirds mount, making it possible for the lenses to be even smaller). This second ‘design model’ looks quite different to Panasonic’s recently announced G1 and Lumix HD offerings, both of which have the same Micro FourThirds mount, being considerably smaller at 119x62x31mm and more Point&Shoot-like in its design. 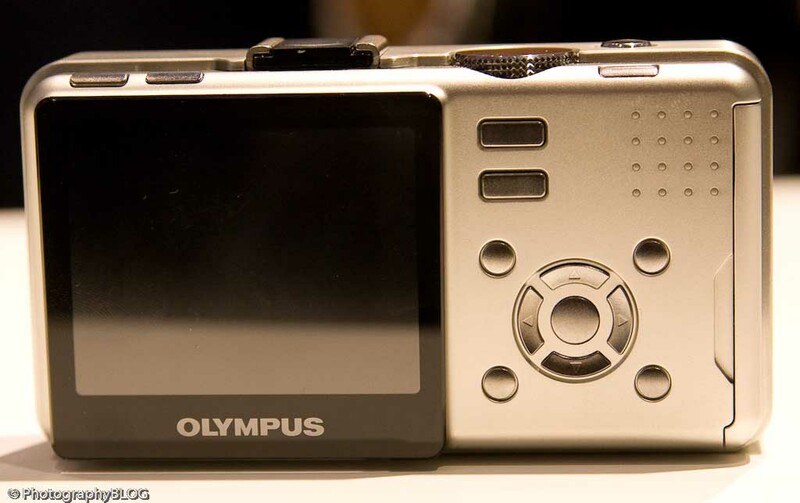 Olympus say they are planning to release this model in the course of 2009, but declined to comment on what lenses are being developed to go with it. It also seems likely that the new camera could be outfitted with interchangeable external viewfinders, possibly both optical and electronic, although this is again something that remains to be confirmed. 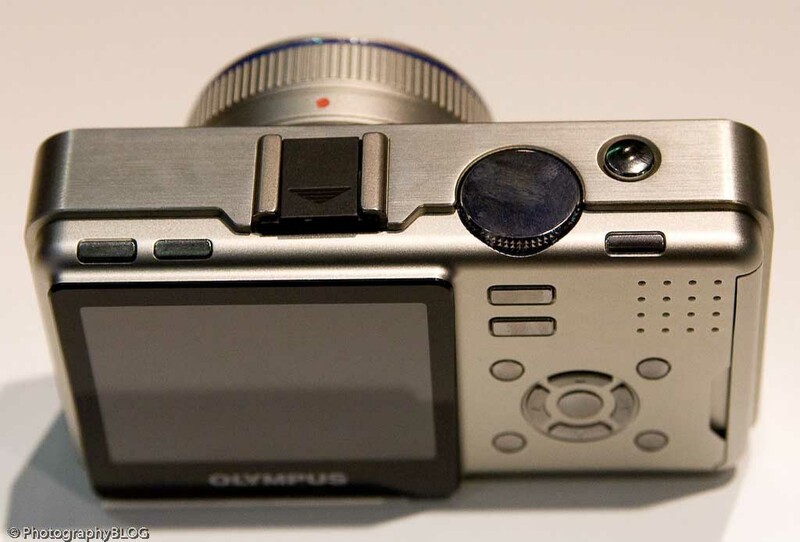 Development of the camera will bring dramatic reductions in size and weight to the Olympus E-System, and will comply with the new Micro Four Thirds System standard jointly announced with Matsushita Industrial Co., Ltd.(Panasonic) on August 5. 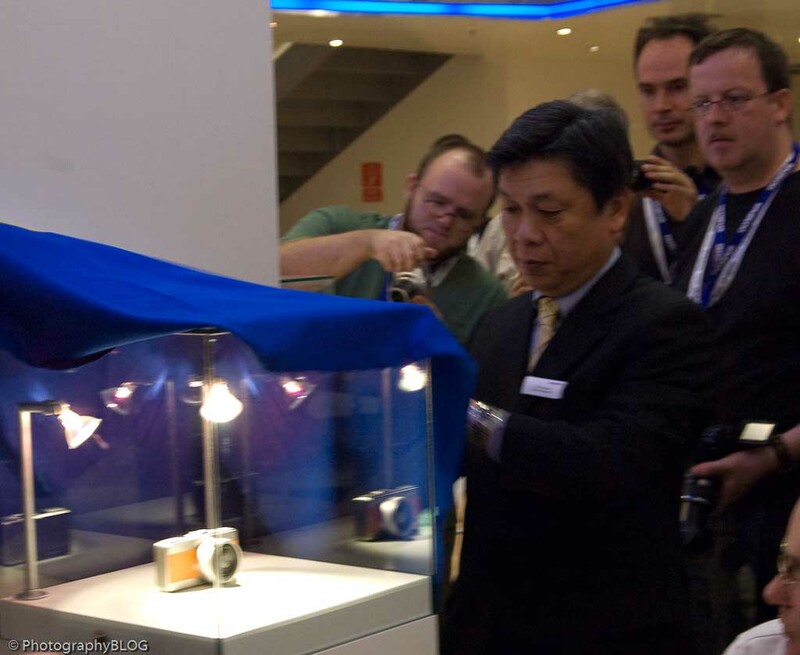 From September 23 through 28, a concept mock-up of the camera will be exhibited at “Photokina 2008”, the world’s biggest trade fair for the photographic and imaging industries held at Köln Messe, Cologne, Germany. The Micro Four Thirds System standard was established to meet this need by enabling the development of radically more compact and lightweight interchangeable lens type digital camera systems. The camera currently under development will be the first Olympus camera to comply with the Micro Four Thirds System standard, and interchangeable lenses that comply with the standard are also moving ahead. In addition, users will be able to mount existing Four Thirds System wide-angle, telephoto, and macro lenses on Micro Four Thirds System bodies via an adapter. 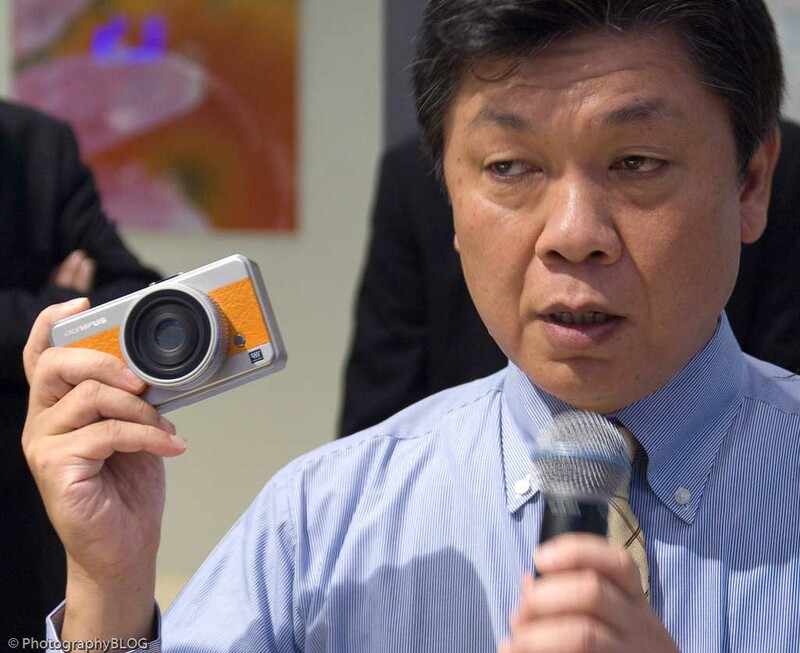 Product name, launch date and retail price of an interchangeable lens type digital camera based on the “Micro Four Thirds System” are not determined now. Olympus Imaging is also committed to the Four Thirds System, and will continue to expand its line-up of digital SLR cameras to satisfy a broad spectrum of customer needs. This includes the professional photographer, aspiring artist, hobbyist, and everyday consumer. The Micro Four Thirds standard was designed and developed to maximize the performance potential of digital imaging technology, and to extend the benefits of the Four Thirds System standard for digital camera systems. The Micro Four Thirds System enables users to enjoy the same high image quality of the Four Thirds System’s 4/3-type image sensor in a much more compact body, and also take advantage of significantly more compact lenses, particularly in the wide-angle and high-power zoom range. The Four Thirds System offers the benefits of compact, lightweight performance, and the new Micro Four Thirds System takes this still further to enable development of ultra-compact interchangeable lens type digital camera systems unlike anything seen before. The new Micro Four Thirds System also incorporates a greater number of lens-mount electrical contacts for the support of new features and expanded system functionality in the future. 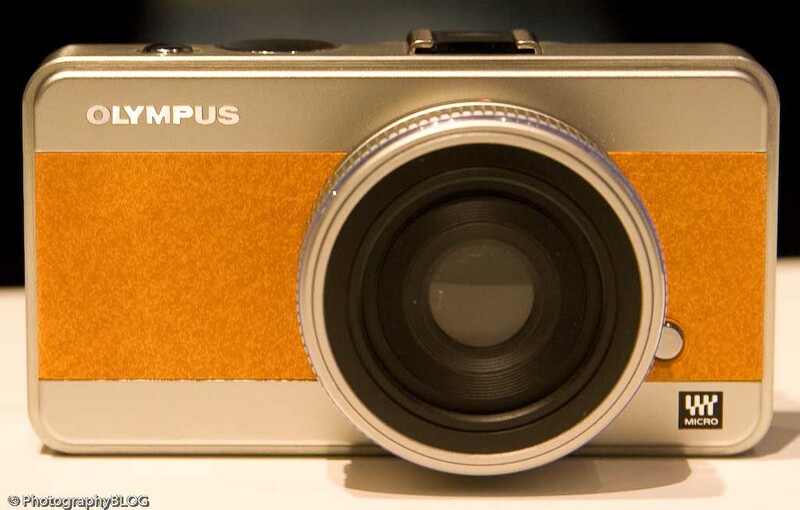 The retro-looking Olympus Micro Four Thirds in all its glory. The prototype has a very simple user interface layout, which will probably change before launch in 2009. The top of the camera has a flash hotshoe that could take a detachable electronic or optical viewfinder. The design is a little boxy, reminding us of the Sigma DP1. 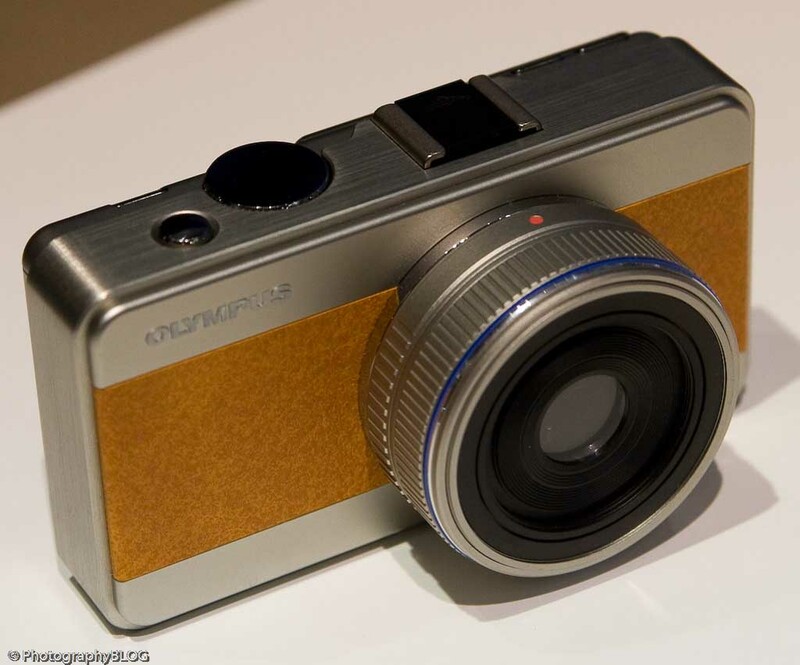 It’s quite a slim camera considering all the internal mechanics. The rear has a very compact-camera look and feel. The grand unveiling! Olympus’s Mr. Ogawa shows off the new camera.